If you have a really great Kickstarter project, one of the best marketing strategies you can employ is to actually go for big endorsements. But Rambod Radmard, the guy behind this campaign, actively pursued an endorsement and reached out to Wozniak. And many times you don’t need as big a name as that. Who do they know already? Whose opinion do they value? It does not need to be a billionaire or celebrity. Just someone with pull in your industry. Spend your time and energy on getting their (hopefully positive) opinion about your project. You have only so many hours and dollars to promote your campaign – and a lot of project creators still make the mistake of spending their resources on efforts that won’t get them maximum results. One influential endorsement can not only bring in more backers, but make every other step in your Kickstarter marketing campaign more easy and successful. In our upcoming book, we’ll share how other Kickstarter project creators have established relationships with influential people and gotten their endorsements. Thank you so much for the article. I agree with you 100%. No amount of marketing (or having a great product) can compare to an endorsement from someone that your target audience looks up to. This may seem trivial, and is definitely easier said than done. But I can promise that it’s worth a shot. 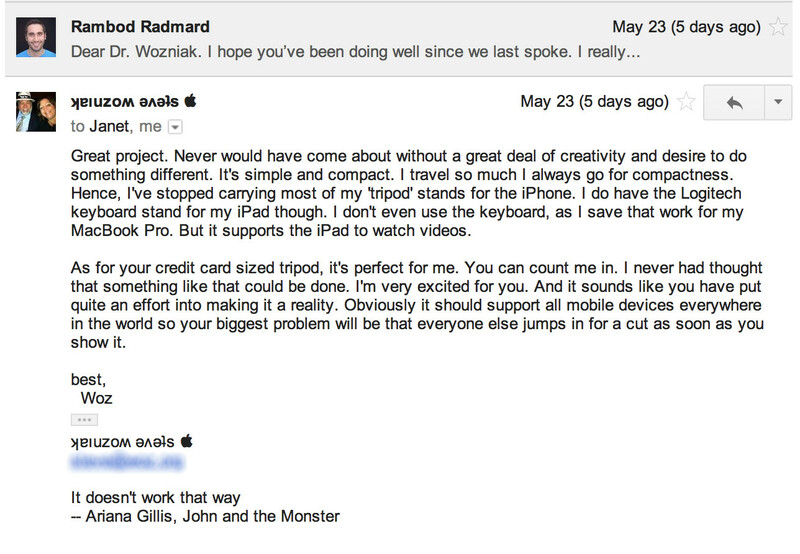 Mr. Wozniak practically saved our project with his heartfelt article on Gizmodo. And a great example that you’re keeping your ear on the ground and engage with people. So much to learn from you about running a project on Kickstarter.